In the 1700's, the property where Pine Lake Manor currently sits (and eastward for about 1/2 mile or so) was called Brandy Hill. This bustling area was home to a cider mill, Haight's hotel and dance hall, a stage coach stop, Aaron Butler's tin ware shop, an Episcopal Church, a saw mill and farms. Pine Lake Manor has been a family run business for four (going on five) generations. How did it all begin? 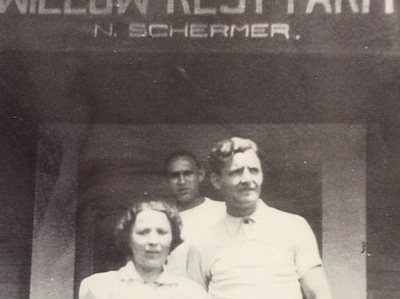 At the age of 15, Nicholas Schirmer left Germany to work on a farm in Minnesota. At the time, Canada was giving out land parcels to homesteaders, so Nicholas went to Alberta to claim a parcel and built a "hut" where he could live. Not long after, he went back to Germany to visit relatives. It was there he met his future wife, Lydia. After corresponding, Lydia came to Alberta, Canada. Nicholas and Lydia married and had the first three of their six children, Reinhold, Ruth and Harold (Pete), in Alberta. Nicholas and Lydia decided the Canadian winters were too cold and decided to travel to California. They got stuck in a blizzard during their travels and this postponed their arrival. Nicholas Jr. was born in the state of Oregon where they remained until the spring. In spring, they left Oregon and returned to Canada. In 1922, Nicholas, Lydia and their family left Canada so Nicholas could work as a tenant farmer in Kinderhook, New York. 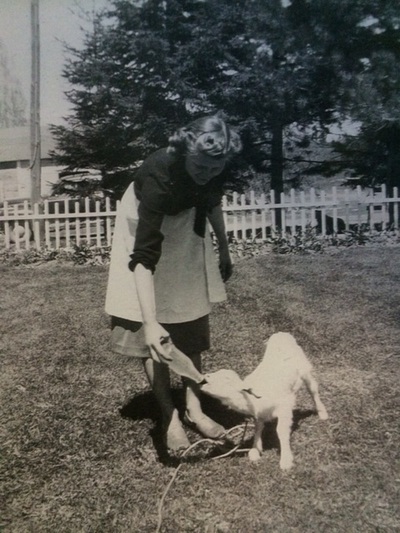 They continued to own the farm in Canada until it was sold in 1958. Lydia returned to Germany to visit relatives and after a few months, Nicholas joined her. 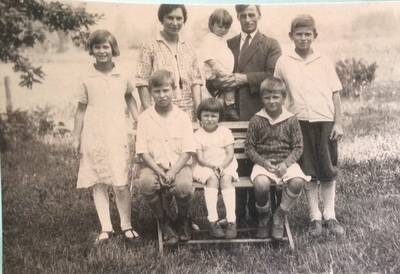 They stayed in Germany until their daughter Lydia was born. In 1924 Nicholas, Lydia and family returned to the states and purchased the farm in Greenville, NY. 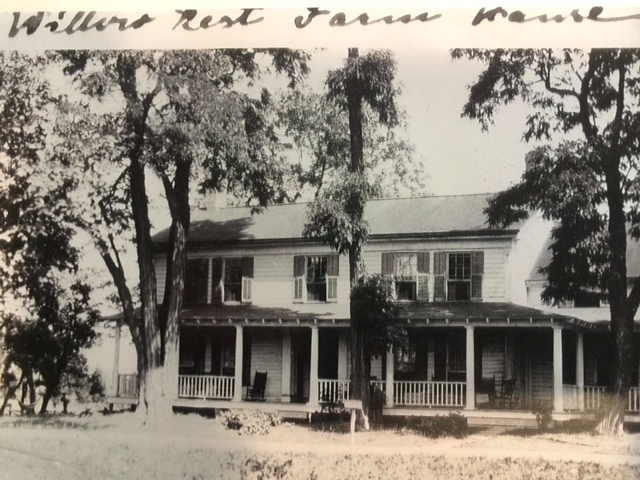 At that time, the farm consisted of the main house and two barns. An addition was added to the front barn to create the annex building that, at that point, had rooms upstairs and a small recreation hall downstairs. Twelve Maples was an established boarding house across the road from the farm that Nicholas and Lydia had purchased. 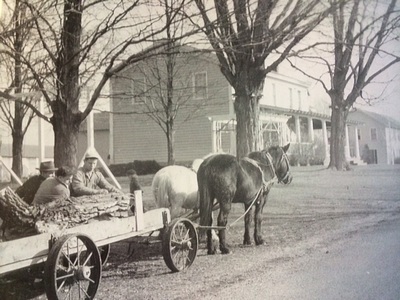 Mrs. Zeh, proprietor of Twelve Maples, asked if they would take the overflow guests, so Nicholas and Lydia started renting out rooms on the farm. Within a short time, they were taking in their own guests and Willow Rest Farm was formed. Nicholas and Lydia's youngest child, John, was born in Greenville in 1926. In 1931-32, Nicholas planted the forest of pine trees (since removed) next to what was then the primary swimming hole but is now referred to as the "back lake". During that time, a bowling alley was also constructed and a tennis court was added. The bowling alley was eventually removed in order to make room for the installation of the shuffleboard courts. This was done at the same time the pool was installed prior to the 1961 season. In the late 1930's and early 1940's a shower house and a two-room bungalow were built next to the annex building. The bungalow sits on the original site of the Episcopal Church. Reinhold Schermer, eldest son of Nicholas and Lydia, met Josephine Gawel while he was working in New York City. Although they were first introduced to each other while both living in Brooklyn, many miles from upstate NY, the resort played a hand in their first introduction. Jo's sister knew Reinhold from a previous visit to Willow Rest Farm, so she introduced Josephine and Reinhold after he moved to Brooklyn. They married in 1942 and continued to reside in Brooklyn, NY. They had two children while living in Brooklyn, their daughter Joanne in 1943 and their son John in 1945. In 1948, they moved the family to Greenville. Within a short time, the bungalow by the pool was constructed as a temporary summer residence for Reinhold, Josephine and their two small children. 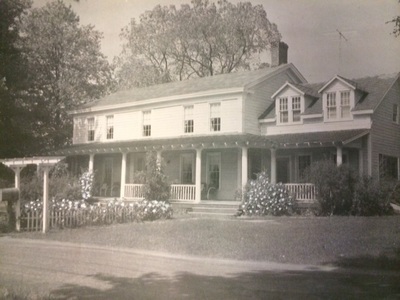 In the fall of 1948, the family moved into the Main House. 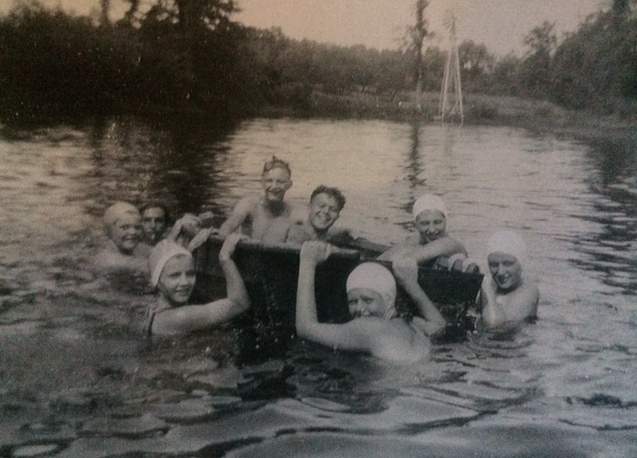 In 1949, Reinhold and Josephine purchased the property and changed the name to Pine Lake Manor. 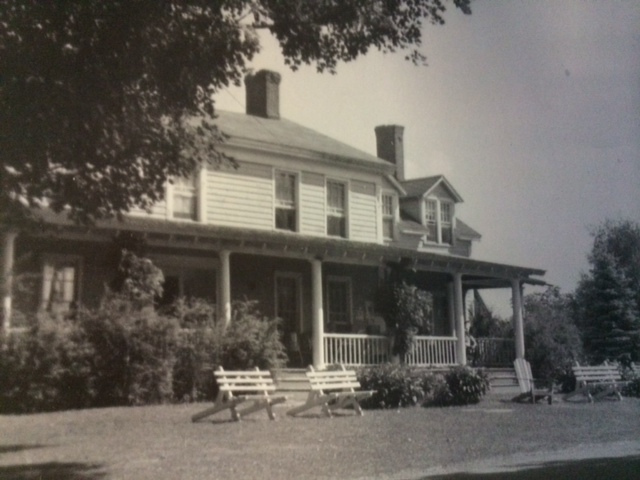 Also in 1949, a small house was constructed on the property for Nicholas and Lydia. In 1951, the barn was converted into a recreational hall (the Rec Hall). In 1952, the downstairs of the annex was converted to additional rooms. In the late 1950's and early 1960's (until 1962), Pine Lake Manor remained open during hunting season. In 1958, Reinhold and Josephine's youngest child, Gayle, was born. 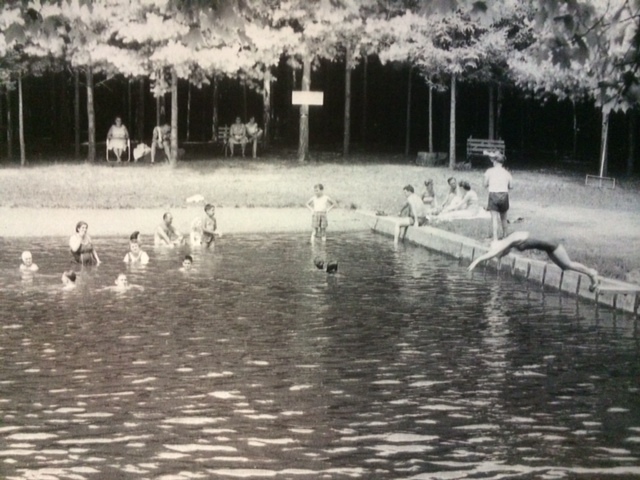 The "back lake" was where guests went swimming until the pool was installed in 1961. Swimming at the "back lake"
During 1959-1960, the man-made front lake was constructed and in 1961 the pool was installed. 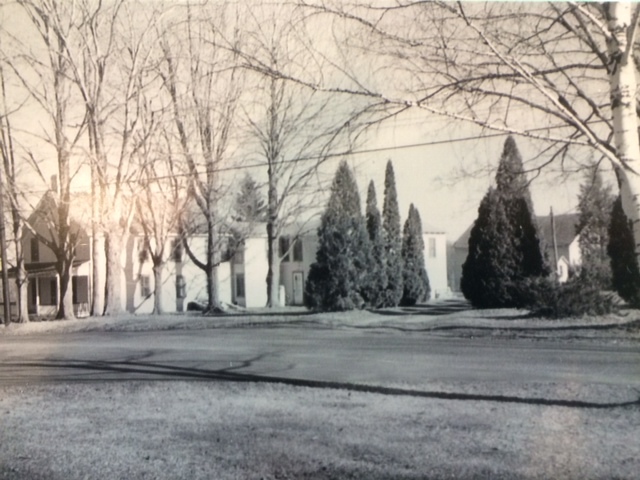 In 1962, the lake motel was built and was ready to use for the 1963 summer season. In 1963, Reinhold and Josephine's eldest daughter, Joanne, married Thomas Baumann and they began their resort life together. Their daughter Amelia (Amy) was born in 1964 and their son Kevin was born in 1967. In 1968 the "back" motel was constructed. It was also during that year that Nicholas Schirmer passed away. In 1970, Twelve Maples was torn down. 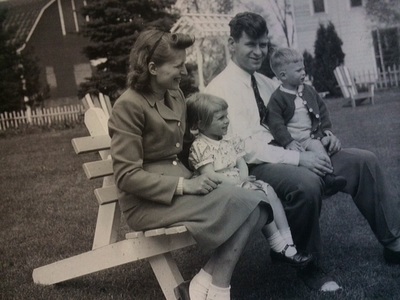 Tom and Joanne's youngest child, Jacqueline (Jacquie) was born. 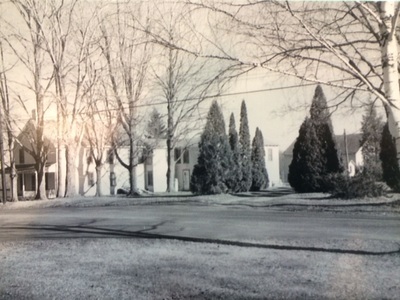 In the early 1970's, the Shear/Heslin house (across the street from the dining room) was purchased and converted to additional motel units. In 1976, Joanne and Tom built a home on the former Twelve Maples site and moved "on-premises". Their home now includes Pine Lake Manor's office. Reinhold, Josephine and Gayle then moved from the Main House across the lake into Tom and Joanne's previous home. In 1979, the "30's" motel unit was constructed. That same year, both Reinhold and his mother Lydia passed away. In 1981, the small house where Nicholas and Lydia had lived was remodeled and additional motel units were created. In the 1970's, 80's, and 90's many various additions were made to the Rec Hall and Main House. Both bungalows were subsequently torn down and replaced with new, modern buildings. The bungalow located at the original site of the Episcopal Church was rebuilt in 1984 and the one by the pool was rebuilt in 1995. The Main House in earlier years. In 1996, the former Aaron Butler/Haight property was purchased. Kevin, his wife Julianne and their family (Olivia, Amelia and Thomas) make their home on the former Aaron Butler/Haight property on the south side of Route 26. Jacquie, her husband Jim Fitzmaurice and their family (Ava, Tess and Bryn) make their home on a portion of the former Aaron Butler/Haight property on the north side of Route 26. Both Kevin and Jacquie and their families are now involved in the operation of Pine Lake Manor. Though located in Boston, Amy also contributes in the operation. Pine Lake Manor now sits on 220 acres with three lakes and continues to thrive through much hard work from our family and many loyal and dedicated employees and guests. 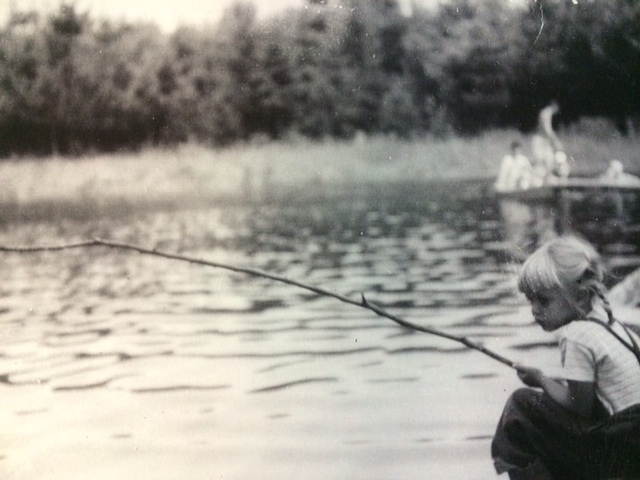 The summer of 2015 marked our 90th year of operation and we are hoping that in another 90 years, Pine Lake Manor will still be going strong and subsequent generations of our family will still be here making a home and providing a fun vacation experience for our guests.